Organic hip oil is very nice product. This is dry oil and has a high absorption rate through the skin helps fades scars and reduces skin pigmentations .A natural remedy for treating common colds and flu, scurvy and even diarrhea. I feel of the oil free on my skin. Thanks for sharing with us. 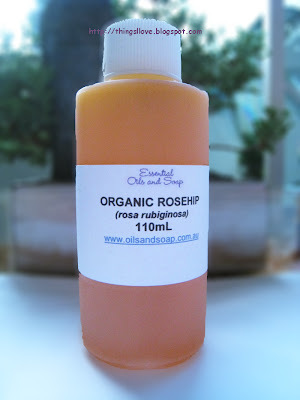 I am absolutely loving rosehip oil-i don´t want to miss it in my beautyroutine! 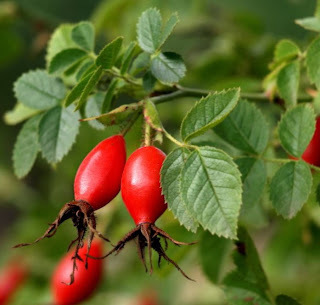 I have only just found out about Rosehip Oil. Just wondering if you are still using it. If so, how are you finding it after over 3 years of using it? The bottle in the photo looks like a plastic one. I remember reading it some time ago that pure oil needs to be stored in a glass bottle. From what I have read about Rosehip Oil, I would think that it needed to be shipped and stored in a dark coloured glass bottle. @LT - yes I still do use rosehip oil today, but not neat (ie. on it's own) anymore. I mix it with vitamin C, borage and argan oil for my DIY skincare and love that mixture so much (will have to do a post on it). You are correct, it should be stored in a dark cool place to prevent spoilage and prolong the life of the oil. I actually store my oils (all of them except jojoba) in the fridge as it retards the oxidation of the oils and prevents it from going rancid too quickly. Glass bottles are the best way to store it as it prevents light from oxidising it but for shipping purposes, plastic is often chosen to avoid breakages. You can transfer it into your own glass bottles if you buy them in plastic ones. I haven't as I find that the fridge is generally dark and cold enough (except when we open the door and the light is on) to prolong its shelf life.